Sustainable development encompasses economic, social, and ecological perspectives of conservation and change in natural resources. It is generally defined as development that meets the needs of the present without compromising the ability of future generations to meet their own needs. This definition is based on the ethical imperative of equity within and between generations. Moreover, apart from meeting; "the basic needs of all"; sustainable development implies sustaining the natural life- support systems on Earth, and extending to all the opportunity to satisfy their aspirations for a better life. Hence, sustainable development is more precisely defined as a process of change in which the exploitation of resources, the direction of investments, the orientation of technological development, and institutional change are all in harmony and enhance both current and future potential to meet human needs and aspiration. To date, various definitions and stationary-state criteria of sustainability have been proposed. 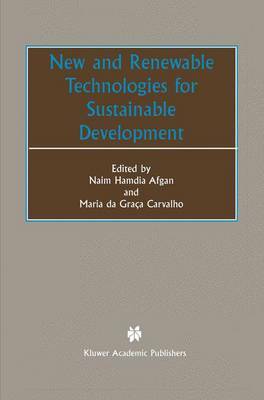 Many authors have been concerned with only part of the problem, such as the technological assumptions, the ability to substitute natural resources in economic transformation processes, and the resilience and importance of ecological processes. But, the social dimension did not receive the same attention, and has not been adequately integrated into formal analysis. The engineering community has to play an important role in sustainable development with appropriate evaluation of the engineering systems. In this respect energy, water and environment systems require multi-criteria evaluation methods for the assessment of the economic, environmental and social aspect of the systems.